Our alpaca foal, the white stallion Bjäragårdens Alex (*26/7 2018), is for sale. 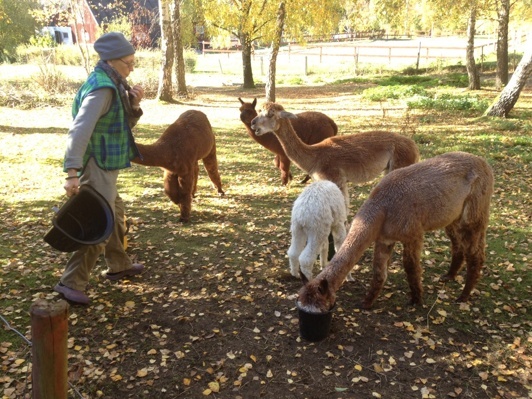 At Bjäragården you can buy alpaca fleece of wonderful quality in many different natural colours. 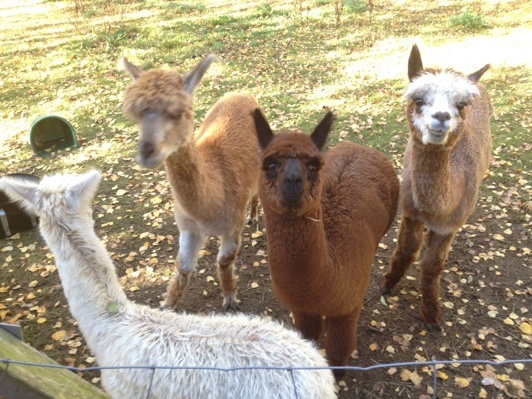 We also offer exclusive soft yarn in different thickness and colours from our own alpacas. 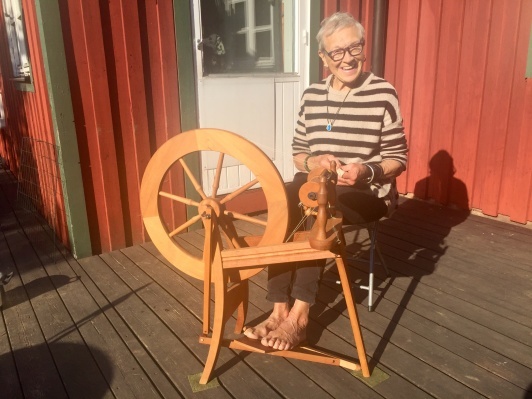 Some of this yarn is home-spun by Thérèse herself. Please contact Thérése Gyan for more information or visit our webshop. 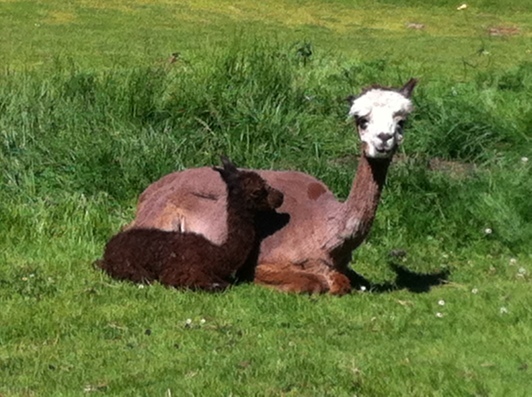 The Alpacas are a wonderful combination of beauty, kindness, intelligence, integrity and individualty. Since autumn 2011, when two mares with suckling crias came to Bjäragården, several crias have seen the light of the day here in Skåne. In summer of 2014 Xerxes and Auroville was born. And the summer of 2015 the mare Xenia was born. In summer of 2016 the two stallions Xerox and Xorro were born. And in summer of 2017 the stallions Xavi (huacaya) and Arvin (suri) was born. 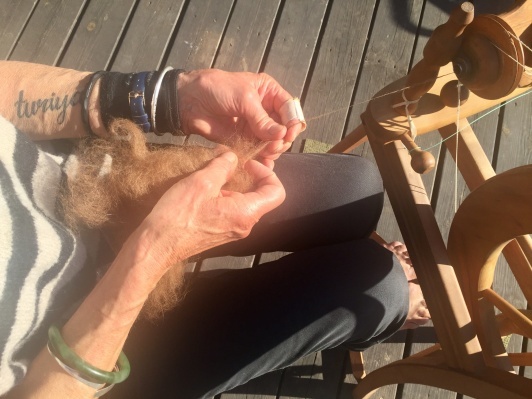 I sell fleece and yarn of Alpacas and give lectures about Alpacas. born in June 2017, has found a nice and new home. Thérése Gyan with Bjäragårdens Xavi, born 26th of June 2017. Alpackahofs Hot Pepper covereth Bjäragårdens Azima 2017.